A look up the Champs Elysées. 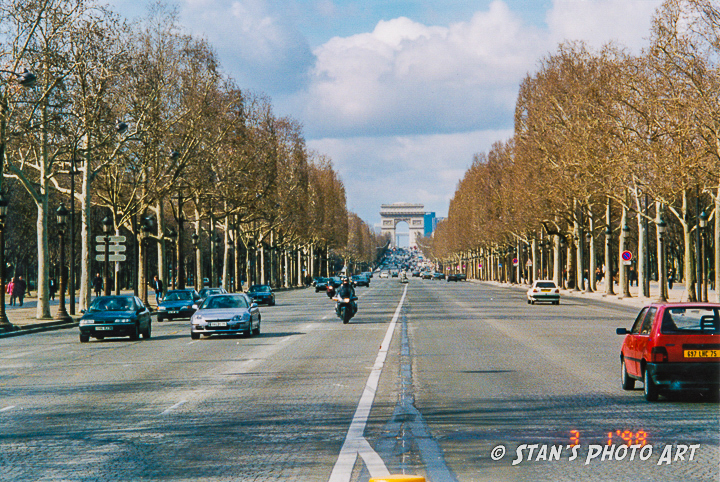 On our first visit in 1998 this was the spot we wanted to be, looking up the Champs Elysées at Rond Point. Our hotel was at the other end, closer to the Arc de Triomphe which offers an admirable view of Paris with twelve great avenues radiating out in the form of a star. Doing our best, we tried to flaneur our way to the Musee du Louvre from here were we spent the rest of the day in complete joy!